With this router you can easily create a wireless network and share a broadband Internet connection, files and peripheral devices. 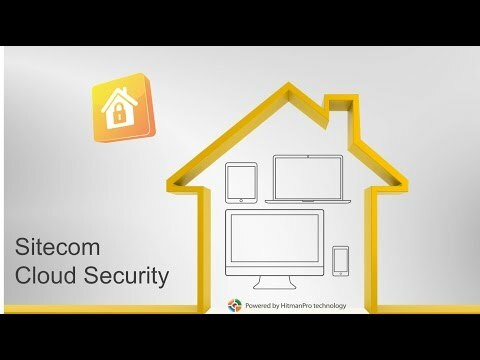 This solution has Sitecom Cloud Security: the security integrated in the router protects all the devices in your network against cybercrime when surfing the Internet. Simply start using the free six-month subscription and use antivirus/antimalware, antiphishing, protection against malicious websites (URL blocking), ad blocking, exploit prevention and the Do-No-Track option. The router has a range which is optimized for three floors, the garden and the balcony and wireless speed of up to 300 Mbps on the 2.4 GHz frequency and 450 Mbps on the 5 GHZ frequency. 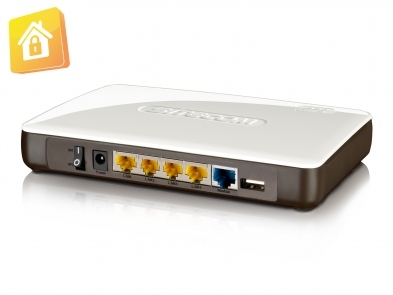 It supports a wired speed up to 1000 Mbps and is ideal for high-speed internet. Enjoy the benefits of the fact that this router simultaneously uses the standard 2.4 GHz frequency and the less congested 5 GHz frequency for optimal wireless performance of heavy applications. 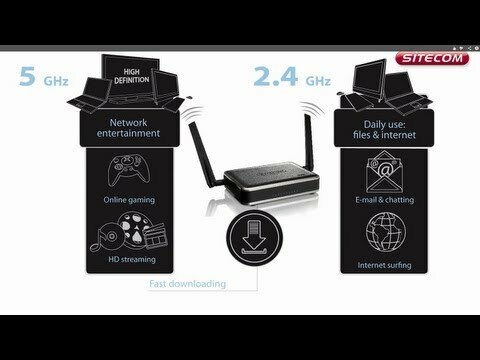 The router is suitable for heavy applications such as simultaneously downloading and streaming large HD files and multiplayer gaming. 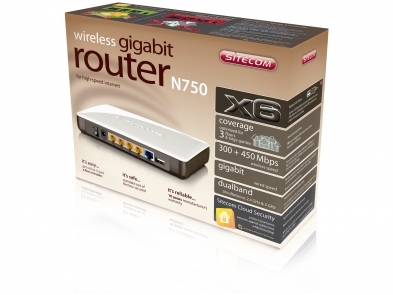 This router is also ideal for sharing and streaming large media files within the network. Make use of the integrated USB port and connect external hard disks, printers or webcams and share the device with all users in the network. Print from any location in the house or back up files from any computer to the connected external hard disk. The router comes secured with an individual pre-set WPA2 security password. You can create a secure home network with just one push of the OPS (One Push Set-up) button. This product comes with the extensive 10-year Sitecom warranty. 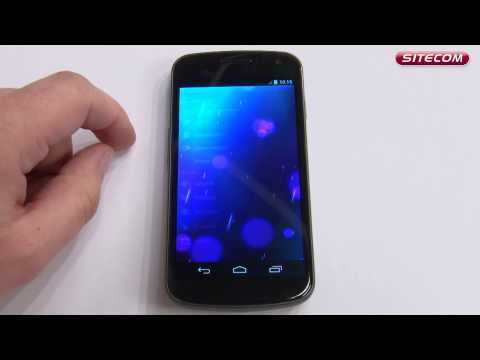 Simply activate the long-term warranty by registering your product within 3 weeks of purchase.